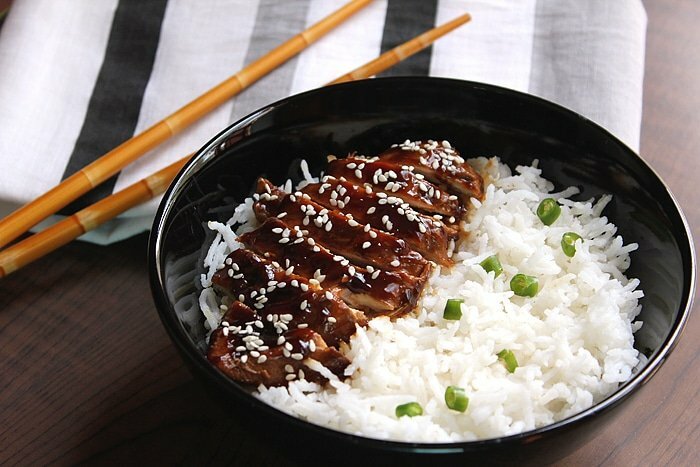 Chicken Teriyaki – I love Japanese food, it’s quick to make and tasty just like this Healthy Chicken Teriyaki recipe. I like the fact that most Japanese food is low in calories, which might be the reason why you get hungry after having a Japanese meal. I used to think that, Japanese and Chinese food are the same, with a slight difference, but when you start cooking dishes from both cuisines, you find that they are quite different. 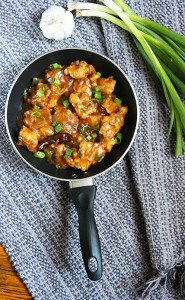 Chicken thighs are what usually used to make Chicken Teriyaki, but I’m using chicken breast in this recipe. 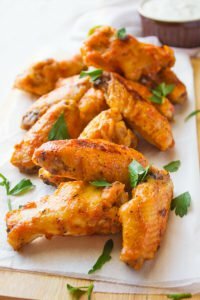 There is no harm in using chicken thighs, in fact, the calorie count is not that different between the breast and thigh. 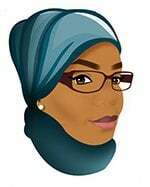 The reason why I’m using breast is to teach those who rather use chicken breast, how to cook it while keeping the breast texture tender and juicy from the inside. 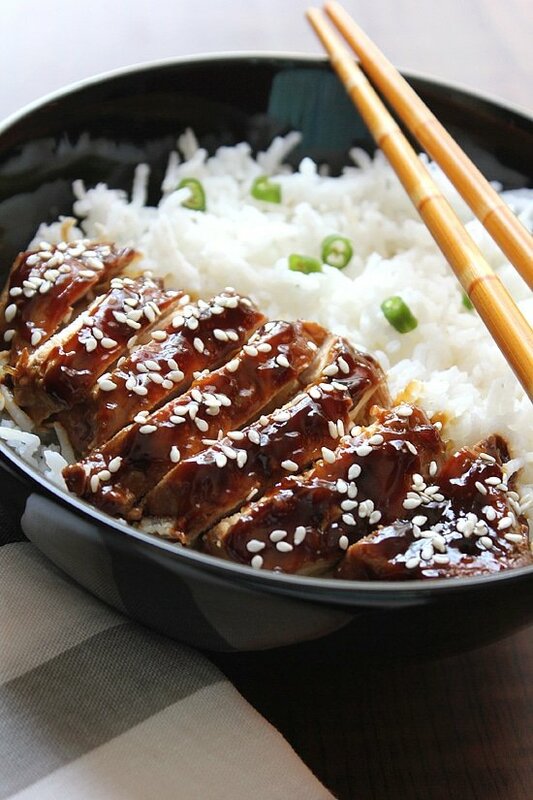 This healthy teriyaki chicken is served with white rice, using your Rice Cooker while making the chicken Teriyaki will save time. 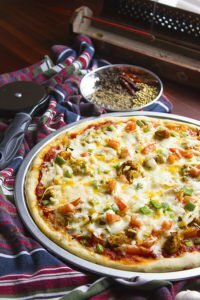 I have changed the recipe a bit since I and my family do not consume alcohol. However, I promise you will not miss it. 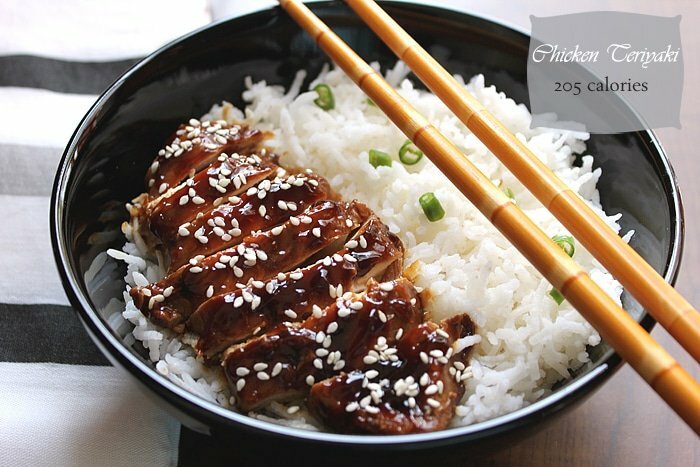 Chicken Teriyaki – I love Japanese food, it’s quick to make and tasty just like this Healthy Chicken Teriyaki recipe. In a bowl, add water, soy sauce, sugar, oyster sauce, and ginger. Mix well. To a hot pan add oil, when hot add the chicken breasts and cook for 2 minutes on each side on high heat. Use a kitchen paper/towel to remove excess oil from the pan. Add the sauce to the chicken and let it simmer for 1 minute, then add the cornstarch mixture and stir quickly, when thick turn off heat. Cut the chicken into slices and serve over rice, sprinkle sesame seeds on top. There are some similarities between Chinese and Japanese as Japanese food is influenced by Chinese food (such as ramen) but seasoning used for food is quite different between two cuisines. I love your chicken teriyaki bowl, Muna! Looks so delicious!!! Hi Nami, it is so good to hear from you 🙂 … Yes there are some similarities but Japanese food are simpler yet have great flavor! There are vegetables and other seasonings which I knew about only after I’ve started cooking Japanese food. I love good Teriyaki chicken. Thanks for sharing your wonderful recipe! I do love Japanese food – this looks so beautiful. I find Japanese food more aesthetically pleasing many times, perhaps due to the care taken in its presentation. I agree! Whenever I see a picture of Japanese dish, it jut looks amazingly beautiful. I too love teriyaki! This looks very delicious, Muna. I prefer the chicken breast so I’m glad you shared this. I never tire of good Asian food, this looks REALLY good! I just made this dish tonight and it came out just wonderfully! I doubled the recipe and I have to say I should have tripled it! But I have to say the sauce didn’t come out as thick as I wanted it to be but it still tasted amazing. Oh I did add a clove of garlic to the sauce too. We love garlic! Next time I think I will try using chicken thighs. I thought the chicken breast came out a bit on the dry side. Thank you so much for this recipe. Can’t wait to try it out again! Howmany calories are in a serving? 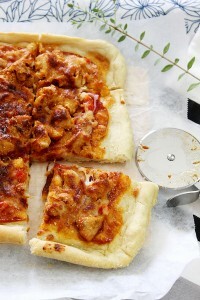 I’m thinking of making this tonight but I’m I a calorie counting diet, new to it I must say . Hi Brianna, 205 calories per serving (didn’t count the rice). 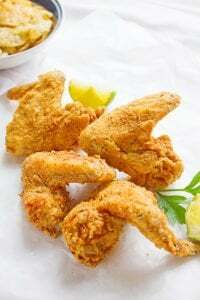 How did you cook your chicken? I know 2 minutes will not cook chicken all the way through. If I missed that in the recipe I am sorry. If the chicken breast is medium size then 2 minutes on each side will be enough to cook it, you should use high heat. 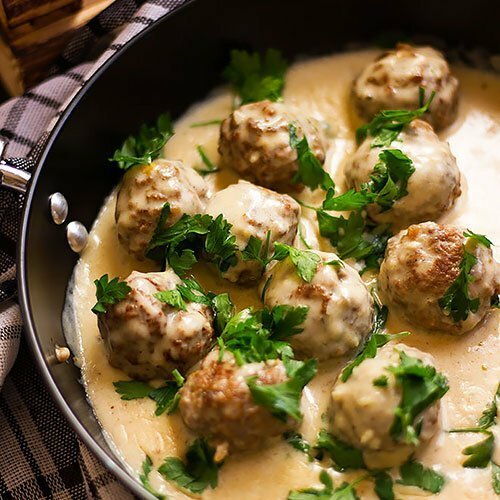 Only Angela (last reviewer) and i seem to have actually tried this recipe and we both agree the sauce isn’t thick like in the photo and doesn’t come out like the photo at all! I should have prob tripled the recipe but I wonder if it’s better to just use bottled teriyaki sauce like soy sauce .. It tastes good and is guaranteed to come out thick. I wasn’t too impressed with how you skip from ‘add corn starch’ to ‘final product’ pic in the video either because it doesn’t show hos it pans out after you add the sauce.. Overall, still tasted alright, but you’d prob get more taste letting it marinade in the sauce overnight.. I can’t tell why your sauce didn’t come out right, since I’m not with you while cooking it, but from past experiences I have noticed that the brand of corn starch play a role in this. Some brands of corn starch don’t make the sauce as thick as in my pictures, so this can be one reason. I’m sorry I can’t think of any other reason. Thank you for trying my recipe. I substituted the cornstarch for gluten free all purpose flour. Amazing!! I made this dish tonight. It is so delicious and love the low calories​. Thank you so much! Is it 205 calories per serving, one chicken breast? Or is that including the rice too? How big are the chicken breasts? The calories 205 is for the chicken serving without the rice. The chicken breast is around 130 grams. Hi, I’m highly allergic to shellfish and crustaceans. What is a substitute for oyster sauce? Thank you! You can skip it and use more soy sauce, but in this case, try using low sodium soy sauce. Absolutely loved this! Made it the otherday and it tasted phenomenal. Though I was wondering, can you substitute the ginger for garlic and maintain the same caloric value? Hi Jenny, the calorie count will still be low, you can use garlic instead of ginger.